The International Ice Hockey Federation has announced the schedule for the 2020 IIHF World Junior Championship, which will take place Dec. 26, 2019 - Jan. 5, 2020, in Ostrava and Trinec, Czech Republic. 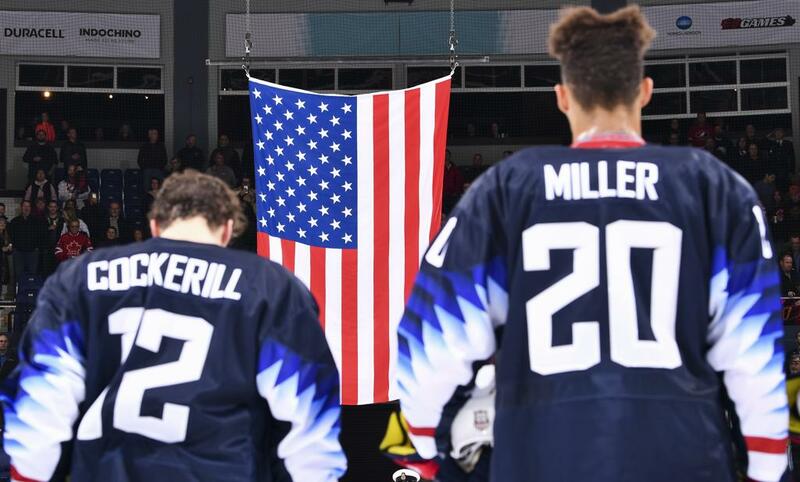 The U.S., which has claimed medals (gold - 2017, silver - 2019, bronze - 2016, 2018) in four-straight IIHF World Junior Championships for the first time, is in Group B alongside Canada, the Czech Republic, Germany and Russia. 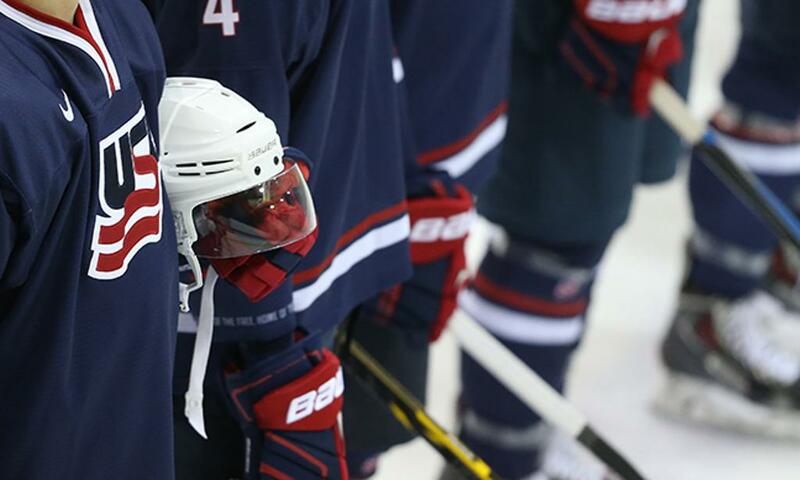 Team USA will begin preliminary round play against Canada on Dec. 26 and face Germany on Dec. 27. The U.S. will then have a day off before back-to-back games against Russia on Dec. 29 and the host Czech Republic on Dec. 30 to close preliminary round action. All four of Team USA's preliminary round games will be played at Ostravar Arena in Ostrava. The quarterfinal round is scheduled for Jan. 2 and the semifinals will take place on Jan. 4. The bronze-medal and gold-medal games will be held on Jan. 5. All semifinal and medal games will be played at Ostravar Arena in Ostrava. NHL Network is the exclusive U.S. TV home of the 2020 IIHF World Junior Championship. Thurs., Dec. 26 Canada Ostravar Arena 7 p.m./2 p.m.
Fri., Dec. 27 Germany Ostravar Arena 7 p.m./2 p.m. Sun., Dec. 29 Russia Ostravar Arena 7 p.m./2 p.m. Mon., Dec. 30 Czech Republic Ostravar Arena 7 p.m./2 p.m. Sun., Jan. 5 Bronze-Medal Game Ostravar Arena 3 p.m./10 a.m.
Gold-Medal Game Ostravar Arena 7 p.m./2 p.m.
Last Meeting: The U.S. and Canada last met in the preliminary round of the 2018 IIHF World Junior Championship, where the U.S. skated to a narrow 4-3 victory in the shootout. The game was played outdoors at New Era Field in Orchard Park, New York. World Junior History: The two teams have met 46 times previously. All-time, the U.S. is 8-3-3-29-3 (W-OTW-OTL-L-T) against Canada in tournament play. Complete series game-by-game results. Last Meeting: The U.S. and the Czech Republic last met in the quarterfinals at the 2019 IIHF World Junior Championship, where the U.S. skated to a 3-1 victory. World Junior History: The two teams have met 23 times previously. All-time, the U.S. is 13-1-1-7-1 (W-OTW-OTL-L-T) against the Czechs in tournament play. Complete series game-by-game results. Last Meeting: The U.S. and Germany last met in the preliminary round at the 2015 IIHF World Junior Championship, where the U.S. defeated the Germans, 6-0. World Junior History: The two teams have met 11 times previously. All-time, the U.S. is 10-0-1-0-0 (W-OTW-OTL-L-T) against the Germans in tournament play with a +51 goal differential. Complete series game-by-game results. Last Meeting: The U.S. and Russia last met in the semifinals of the 2019 IIHF World Junior Championship, where the U.S. skated to a narrow 2-1 victory to advance to the gold-medal game. World Junior History: The two teams have met 21 times previously. All-time, the U.S. is 8-1-0-12-0 (W-OTW-OTL-L-T) against the Russians in tournament play. Complete series game-by-game results. ©2019 Team USA Hockey / SportsEngine. All Rights Reserved.